The Poble Espanyol, which translates to “Spanish Village,” is a large museum of architecture in Spain. It stands on the hill of Montjuïc in the Catalan capital of Barcelona. 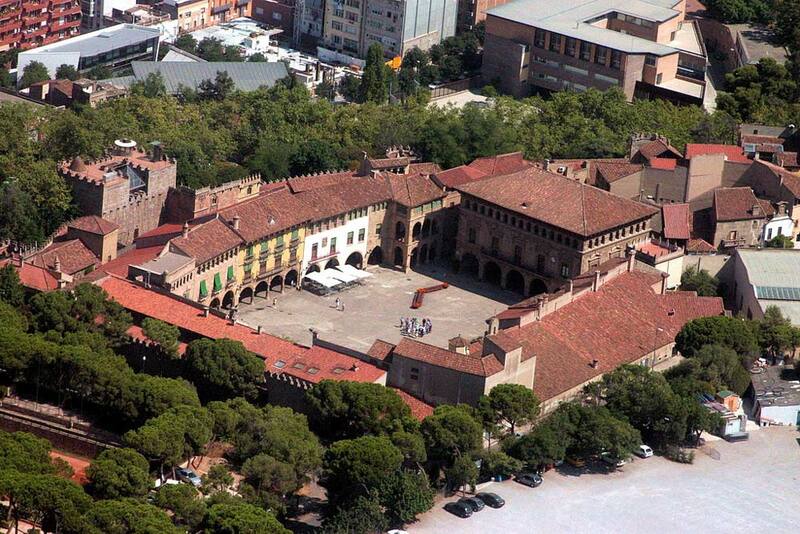 Opened in 1929 as part of that year’s Barcelona International Exhibition, it contains more than 100 buildings. These are modeled on original examples of Spanish architecture. The museum was originally intended to exist only for the duration of the 1929 International Exhibition, and was then due to be demolished. However, its enormous popularity ensured that it was kept open. In the 1930’s, the Poble Espanyol was used to hold prisoners captured during the Spanish Civil war. More recently, it has received several improvements, most notably a substantial renovation which was carried out in 1988. Recent years have seen the museum focus increasingly on traditional artisan arts and crafts, with several dozen workshops now in operation. To cater for the increased number of visitors, several restaurants and clubs have been opened. A team consisting of one artist, one engineer, and two architects was responsible for the creation of the village. Its 117 buildings showcase a variety of styles of architecture, with an emphasis on the country’s various regions. In the center is the Plaza Mayor, which lies close to two smaller plazas. From here, streets wind through the village, which includes facilities such as stores, a church, a town hall and a monastery. There are also a number of residential properties. In some cases, the buildings in Poble Espanyol are designed to be precise replicas of those which exist elsewhere in Spain. Others were built to demonstrate particular styles of architecture. Among the best known is the entrance gate, which is a replica of an 11th century gate in the medieval walls of Avila. The town hall is a copy of the equivalent building in Valderrobres, while the clock tower is a tall structure in a semi-Gothic style taken from Utebo.